Self-Driving Floor Scrubbers- Bortek Industries, Inc.
Shopping malls. Freeways. Car chases. Road rage. The transition from horses to cars changed the world in all sorts of unforeseen ways. They granted enormous personal freedom, but in return they imposed heavy costs, such as injuries due to accidents. Today, we hear rumblings of companies now working on self-driving cars as yet another upgrade. They see the main benefits as mitigating some of those costs, through enhanced rider safety. Cars have undoubtedly changed the world for the better but there are drawbacks to every good idea. Self-driving cars could be fantastic, but I’m remaining cautiously optimistic with the potential of even greater unforeseen costs. This same cautious optimism can be made for the introduction of the self-driving floor scrubber. Long-gone are the days of the broom and dust pan for cleaning warehouses, retail stores, schools, etc. The floor scrubber alleviated a significant amount of time and labor costs and shows significant improvement to the quality of all floors. The benefits of floor scrubbers come with a few costs as well, such as increased expenses and a learning curve for employees. But once again, if you are in an industry that requires floor cleaning, the floor scrubber has without question made everybody’s lives easier. Is it fair to be cautiously optimistic with the self-driving floor scrubber as well? What unforeseen costs will be in store for us down the road? To gauge the value of the self-driving floor scrubber, lets take a look at some of the pros and cons. 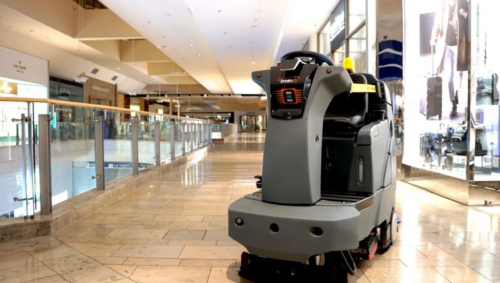 These machines, equipped with advanced artificial intelligence software, are able to complete floor cleaning tasks without direct operator control. This means that the cleaning staff is free to focus on higher value tasks, and that the workflow of cleaning is more efficient. Additionally, the use of autonomous floor care machines ensures reliable, efficient, and thorough floor cleaning throughout any facility. Trial runs on self-driving floor scrubbers have seen an increase in efficiency and productivity. The floor cleaners are also incredibly safe. If they sense that people are around they will slow down and give them a wide birth. If they get too close to an unexpected obstacle, they will pause their cleaning and send an operator a text message, asking them to go and inspect the environment. The machine will only start cleaning again once the operator has entered the code provided in the text. In the video below you can see these safety measures in action. No matter how well the self-driving floor scrubber cleans the floors, they can’t replace the human element completely. The first immediate flaw is quality control. As you saw in the video above, the scrubber left six inches between the sweep path and the wall. The floor scrubber may successfully clean the majority of the facility but won’t be able to clean it entirely. The obvious answer to this con is that a significant number of janitorial jobs would be in jeopardy. The self-driving floor scrubber can take the work of a number of workers and replace them with one skilled operator. Companies will have to hire and train an operator to run the machine and handle any mishaps it may encounter. 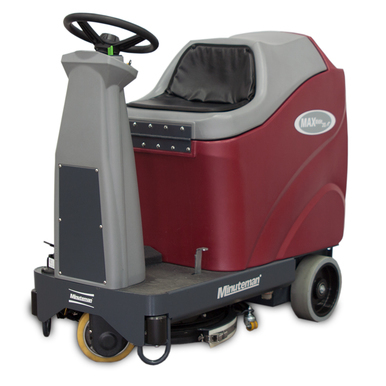 From an employer perspective, the floor scrubber will save time and labor cost. However, from a jobs perspective, we will almost certainly see an increase in unemployed janitorial workers. As safety conscious as these self-driving floor scrubbers are intended to be, there is no way we can be 100% safety guaranteed. Yes, the scrubbers can detect objects and adjust the sweep path accordingly. But we’ve all been in a crowded supermarket with children running around from aisle to aisle. How quickly can the scrubber stop while detecting the running child? Can you blame the operator in store or the company who manufactured the product? Once again, we can compare this issue to the self-driving car. There is no driver, so who is at fault? Self-driving products could result in a litigation nightmare. Give us your input on these self-driving machines! We would love to hear your comments!